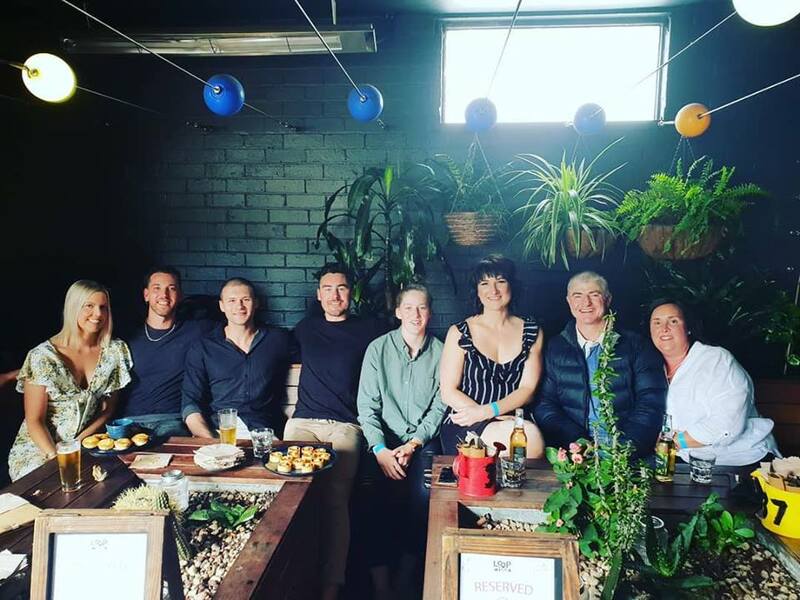 Brad Berry and Cameron Herrington opened Berry Fitness Centre in September 2005 with both having already established a successful Personal Training business together. Their passion for offering the highest levels of service and results inspired them to recreate the same level of personalised service in a gym environment. Berry Fitness 24|7 is the biggest and best 2 Level 24|7 Fitness Facility in the Bayside area, offering 2 levels fully equipped with Hammer Strength & Life Fitness equipment. Our dedicated functional, abs|core and stretching area PLUS 24|7 access to our boxing set up ensures there is something for everyone. Renowned for our relaxed and friendly atmosphere, you will feel part of our community and find exercising with us enjoyable. You can be assured that when you visit us our staff are fully qualified and the facilities and services we provide are of the highest standard. The biggest and the best 2 level 24|7 Fitness Facility offering unlimited access to our fully equipped ground floor and first floor means you will never run out of space. Jam packed with Hammer Strength & Life Fitness equipment, plus dedicated areas for Functional, Core, Group Fitness and Stretching. Fully qualified and insured staff providing each member the highest standard of customer service, quality advice and help with training techniques. Complimentary comprehensive fitness assessments allow us to tailor programs that are appropriate to your age, physical shape & general health for weight loss, sports specific or rehabilitation. Separate group exercise room mix up your fitness routine with our range of over 20 classes per week – all included in your membership. Hammer Strength weight training equipment enjoy weight training equipment to work every part of your body. Hammer Strength is the #1 brand of strength and conditioning equipment in the world. Life Fitness cardio equipment including treadmills, cross-trainers, summit trainers, and bicycles that are easy to use, offer heart rate monitoring, motivating workout variety and ergonomic expertise. Personal training to ensure your goals are met every step of the way. We offer you the best Personal Trainers in the best environment. 24|7 safe and secure controlled access with staffed hours Monday – Saturday. Visit us when it’s convenient for you! 3 showers and change areas for the convenience of before work, and after work sessions- train with us anytime no matter what your commitments. Ongoing personal assessments and program modification as your goals change, we change with you- free of charge! The Berry Fitness 24|7 team are not just your average Gym Floor Staff, our team are all Fully Qualified Personal Trainers so you can be sure that they know what they are on about. We are staffed 6 days a week to make sure you have personal contact with our team when you need it. Need to see one of us outside our staffed hours? Just ask! We are here for you. Our team pride themselves on their customer service, friendly approachable nature & most of all their Health and Fitness knowledge. We team up with a bunch of Local Businesses & #SupportLocal to offer our members the best of the best in Bayside. If you’re looking for more than just a place to throw some weights around come chat with us & find your new home for Health. Our team is awesome – Work with us!